We are proud to announce that Dom & Tom has been named one of Inc. magazine’s Best Workplaces for 2017. The list is a result of a wide-ranging and comprehensive measurement of private American companies who have created exceptional workplaces through vibrant cultures, deep employee engagement, and stellar benefits. Out of thousands of applicants, Inc. singled out just over 200 winning companies to be featured in the June 2017 issue of Inc. magazine and as part of a prominent inc.com feature. What does it take to become a company that workers want to be part of? Inc. magazine says it’s more than good pay and good perks – it’s also about having a clear purpose, a sense of humor, and leadership that makes the two work together. 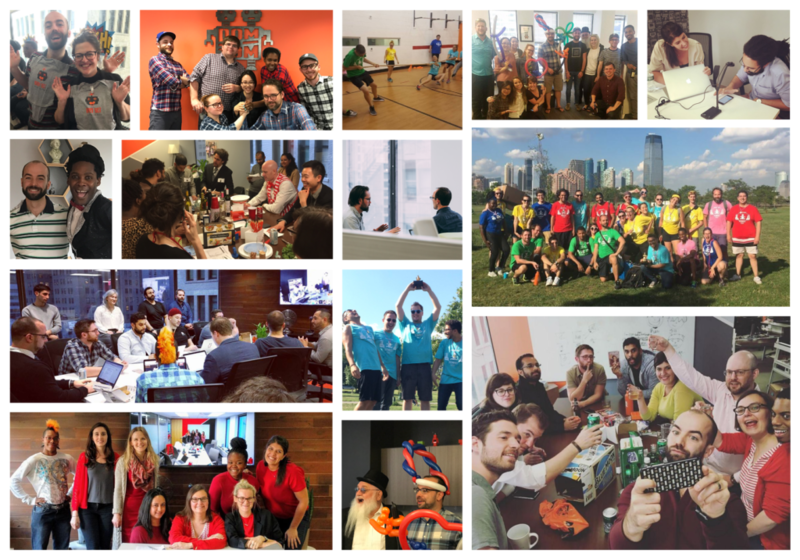 “Hands down, the people at Dom & Tom are what make our agency an Inc. Best Workplace. You have to make your employees a priority because they are not just employees; they are part of a team and to build great products you have to have a rock solid team. At Dom & Tom, our team is a family that works hard, respects one another and are truly friends,” said twin Co-Founders, Dom and Tom Tancredi. Although the survey was anonymous, we got a sneak peek at some of the insights and a few quotes to share. One of our favorite insights from the survey was that it was revealed that one of the top words at Dom & Tom was FUN and we couldn’t agree more and we want to share a little of that FUN with everyone. Thank you to ALL Dom & Tom employees for being a part of a family that is built on mutual respect, honesty, and delivering great results. Check out the official Press Release and make sure to follow us Twitter, Facebook, Instagram and LinkedIn for awesome updates.